Why Do Weeds And Moss Grow In My Lawn? The last we spoke, our topic was Calcitic Lime and how it can help to balance the pH in your soil along with the benefits it will provide your lawn. This week, we will broaden our chat to see what else could be causing weeds and moss to take over your lawn, as well as how to fix those issues. The first thing to remember is that a lawn is a living breathing organism. Just like our bodies, there are minimums that we need to provide ourselves with in order to remain in good health and promote a long life. Your lawn is no different. It needs the right amount of consistent water, good quality nutrients (AKA food and vitamins), proper and regular maintenance, attention to stress reduction, sunlight and of course protection from unwanted invaders. When these minimums have not been met, an environment is created in your lawn that is perfect for weeds and moss to grow. 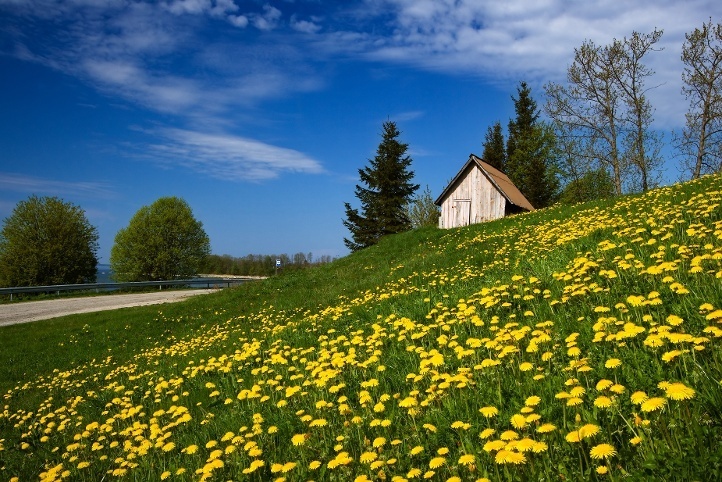 The picture above is a great example of how a healthy lawn is better able to defend itself against weeds and moss. Both are opportunistic plants that take advantage of weaker soil areas and flourish in places that grass cannot grow. The thicker and healthier your lawn is, the less room is available for weeds or moss to take root or flourish in your lawn. First up, let’s discuss watering your lawn. Knowing the proper way to water can be confusing with all the information out there on how long per day, per week or even per month. The truth is, the amount of time spent watering your lawn is not at all important. The proper marker is how far into the soil the water is able to penetrate. Our goal when watering is two-fold. The first goal is to provide your grass with the amount of water required to “quench its’ thirst”. The second goal is to train your grass roots to travel deeper into the soil to find a water source. When the weather outside turns warmer and the seemingly ever-present rain here in the Lower Mainland seems to vanish, it becomes very important that the root system is able to find more moisture deeper in the soil. The more often that we water deeply, the more your grass roots get used to stretching further into the soil. That exercise comes in handy during those dry August weeks and will help your lawn sustain that green and protect from invading weeds! Check out our YouTube video to learn our “Tuna Can Trick”. When we talk about watering, the other chore most homeowners undertake is mowing their lawn. Although most enjoy the look of a short manicured lawn (or because this allows for the most number of days between mows), this is not the healthiest choice for your grass. The one important rule to remember is that your roots will be as long as your grass blades. The longer the roots, the deeper into the soil they can reach to get to the moisture or nutrients hidden deep down. During warmer months this becomes increasingly important to allow your lawn to sustain itself when these things are harder to come by. So, you lawn should be no shorter than 2.5” and no higher than 3” in length during most of the year. When the sun gets a bit hotter, leaving your lawn a bit longer, between 3-3.5” in length, is more ideal. 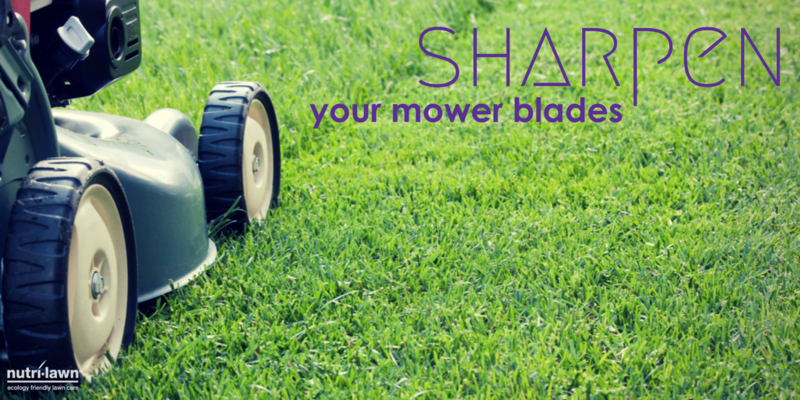 Another tip: when cutting your lawn, make sure to never cut more than ⅓ of the blade length and ensure that your mower blades are always sharp. Food is next, all living things love to eat, I know I do, I’m sure that you do too and your lawn is no different! In fact, there are a total of 18 nutrients needed in order to grow correctly, but only three of them -- nitrogen, phosphorus and potassium -- are used in quantities that might require supplementation. Low nitrogen in your lawn can contribute to the weed population as weeds are able to grow in areas that healthy plants cannot. 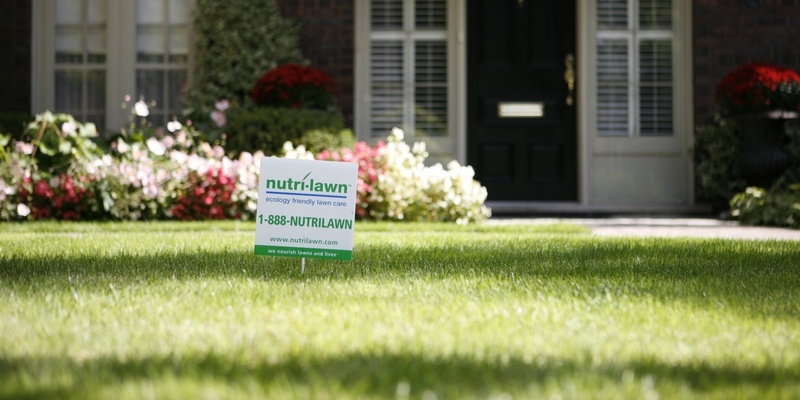 Making sure that you (or the professionals here at Nutri-Lawn Vancouver) are putting down a high quality fertilizer with the proper amounts nutrients at the proper times of the year as your lawn’s needs will change with the weather. Now, another contributing factor to weed and moss growth are compacted and bare soils. Not only should the area you would like grass to grow be full of usable nutrients and loosened soil, they should also be full of grass! 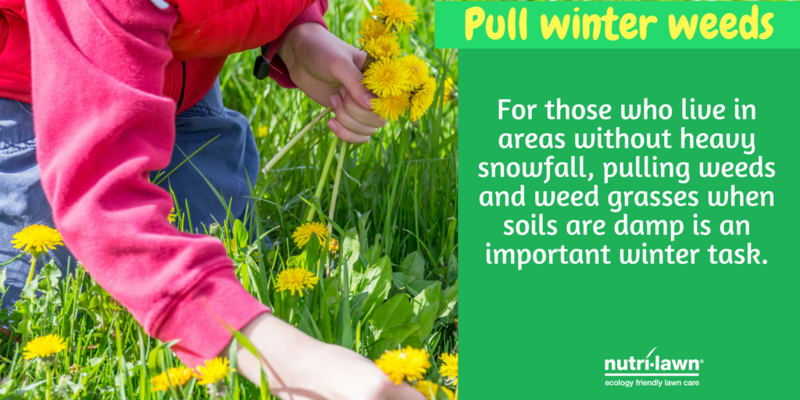 When the lawn area is taken up by grass, it leaves little or no room for other plants (weeds or moss) to grow. Similarly, the soil should be loose enough that the roots of the grass are easily able to penetrate and grow down into the soil. The root system of grass is less able to break through hard or compacted soil than weeds or moss so when the soil is too hard, it will prevent the grass from being able to grow, leaving these unhealthy areas available for other plants to take over that are more opportunistic. Sunlight. All living things require sunlight in some form to assist their growth and health. The issue arises when the sun gets a bit too hot and our climate in Vancouver (and surrounding areas) gets very dry. Our summer’s in the Lower Mainland are traditionally very dry. Combined with our watering restrictions this makes for a lawn to become heat stressed. Just like you and I, when we become stressed out, it is easier for us to become sick. For your lawn, this presents as weed and moss growth. Now, watering more during these months may not always be possible, which is why it is important that we have taught our grass roots to stretch further into the soil with our watering and mowing practices in the spring and fall. Another contributing factor to weed and moss growth is the composition of the soil it all grows in. The soil stores water and nutrients, so many of the problems associated with growing a healthy lawn are directly related to the soil. A loamy soil is ideal for grass growth. This is one made up of sand, clay and organic matter making it hold water and nutrients and water as well as being more resistant to soil compaction. When your soil is not able to drain properly it will cause a more moist environment which is very inviting not only for moss and weed growth, but also to some bacteria and disease growth. If you soil drains too quickly or easily then it is less able to hold in the water and nutrients also causing weeds and moss to grow in an unhealthy environment. If you are noticing that water is standing on the surface of the lawn we recommend that you contact a drainage company to check things out. So, in conclusion, the presence of weeds or moss in your lawn is a sign of the health of that environment. When your lawn is watered properly, kept mowed to 2 ½ - 3” in length, fertilized, the soil loosened (with a Core Aeration every year), the pH balanced (with a Calcitic Lime application), Seeded (to increase the amount of grass in the lawn) and has lots of sunlight it will become healthier and stronger. Similar to when we start to take better care of our bodies by eating right and exercising regularly, which does take some time, we are less likely to get sick. Join us next time for more in depth looks at your lawn and your favorite Local Lawn Care company here in New Westminster! 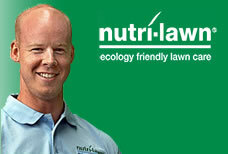 In the meantime, take back your weekend by calling Nutri-Lawn and let us take care of your lawn!